Universe Galaxies And Stars Archives. | Ten Years Since The Revolution: E-Book. 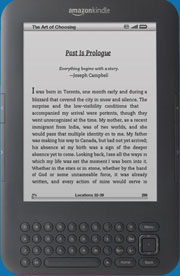 | SAS Black Ops - al Qaeda Dawn: E-Book. 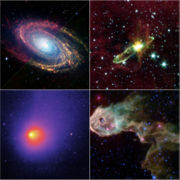 Universe Galaxies and Stars Exploring The Universe, Science and Astronomy. Welcome to universe, galaxies and stars. The universe is commonly defined as the totality of everything that exists - including all physical space, time, matter and energy, the planets, stars, galaxies, and the contents of intergalactic space, although this usage may differ with the context. The term universe may be used in slightly different contextual senses, denoting such concepts as the cosmos, the world, or nature. Observations of earlier stages in the development of the universe, which can be seen at great distances, suggest that the universe has been governed by the same physical laws and constants throughout most of its extent and history. Some physicists have speculated that the universe is one among a numerous number of universes in the multiverse theory. Galaxies are massive, gravitationally bound system that consists of stars and stellar remnants, an interstellar medium of gas dust, and an important but poorly understood component tentatively dubbed dark matter. The name is from the Greek word galaxias, literally meaning "milky", a reference to the Milky Way galaxy. Typical galaxies range from dwarfs with as few as ten million (107) stars, up to giants with a hundred trillion (1014) stars - all orbiting the galaxy's center of mass. Galaxies may contain many star systems, star clusters, and various interstellar clouds. The Sun is one of the stars in the Milky Way galaxy; the Solar System includes the Earth and all the other objects that orbit the Sun. Historically, galaxies have been categorized according to their apparent shape (usually referred to as their visual morphology). A common form is the elliptical galaxy, which has an ellipse-shaped light profile. Spiral galaxies are disk-shaped assemblages with dusty, curving arms. Galaxies with irregular or unusual shapes are known as irregular galaxies, and typically result from disruption by the gravitational pull of neighboring galaxies. Such interactions between nearby galaxies, which may ultimately result in galaxies merging, may induce episodes of significantly increased star formation, producing what is called a starburst galaxy. Small galaxies that lack a coherent structure could also be referred to as irregular galaxies. Stars are massive, luminous balls of plasma held together by gravity. At the end of its lifetime, a star can also contain a proportion of degenerate matter. The nearest star to Earth is the Sun, which is the source of most of the energy on Earth. Other stars are visible from Earth during the night when they are not outshone by the Sun or blocked by atmospheric phenomena. Historically, the most prominent stars on the celestial sphere were grouped together into constellations and asterisms, and the brightest stars gained proper names. Extensive catalogues of stars have been assembled by astronomers, which provide standardized star designations. For at least a portion of its life, a star shines due to thermonuclear fusion of hydrogen in its core releasing energy that traverses the star's interior and then radiates into outer space. Almost all naturally occurring elements heavier than helium were created by stars, either via stellar nucleosynthesis during their lifetimes or by supernova nucleosynthesis when stars explode. Astronomers can determine the mass, age, chemical composition and many other properties of a star by observing its spectrum, luminosity and motion through space. The total mass of a star is the principal determinant in its evolution and eventual fate. Other characteristics of a star are determined by its evolutionary history, including diameter, rotation, movement and temperature. A plot of the temperature of many stars against their luminosities, known as a Hertzsprung-Russell diagram (H?R diagram), allows the age and evolutionary state of a star to be determined. About universe, galaxies and stars. 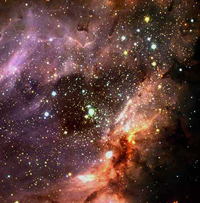 Universe galaxies and stars is primarily at website about the universe. However, as so many of our surfers have asked for other subjects, universe, galaxies and stars has decided to expand our content. We hope, at universe, galaxies and stars to create a website packed with interesting information. To reflect this, universe, galaxies and stars might under go a name change soon. We hope to bring all of you, a comprehensive website packed with feature rich knowledge about a wide and varied range of topics. However, our commitment to universe subjects will not suffer as a result. The universe, galaxies and stars will still head our program of dedicated information. But, as we are sure you are aware, just concentrating on the one subject can get a little boring. As the philosopher once said, variety is the spice of life! With this in mind, we hope to chose content that expands the imagination. We want to make our surfers think, to question and understand the extent of knowledge out there. If there is a topic you particularly like, why not drop us a line, and we'll see if we can't include it at a later date. But, in the mean time, why not have a look in the feature-paced pages of our website and include a link so others can experience the great content available. The Sun is a third generation star triggered by shockwaves from a nearby supernova. Mercury has a higher iron content than any other major planet in our solar system. Venus has an extremely thick atmosphere, which consists mainly of carbon dioxide. The Earth's terrain varies greatly from place to place. 70% of the surface is covered by water. Mars has no oceans and hence no 'sea level', a zero-elevation surface must be selected. Jupiter has been known since ancient times and is visible to the naked eye in the night sky. Saturn shows complex patterns. Most of the variability is due to the rings. Uranus has a faint planetary ring system of dark particulate matter ten meters in diameter. Neptune's atmosphere has the highest wind speeds in the solar system powered by heat. Space based telescopes are in orbit around the Earth, and most of them have greatly enhanced our knowledge of the universe sending back stunning images of galaxies and stars. The Hubble Space Telescope's position outside the Earth's atmosphere allows it to take sharp optical images of very faint objects in the distant universe. Spitzer space telescope was launched on Monday 25 August 2003 at 1:35:39 (EDT) from Cape Canaveral Air Force Station on a Delta II 7920H ELV rocket. Spitzer space telescope follows a rather unusual orbit, heliocentric instead of geocentric, following the Earth in its orbit. The James Webb Space Telescope is the successor to the aging Hubble Space Telescope. The main scientific goal of the James Webb Space Telescope is to observe the most distant objects in the universe. The COBE's goals were to investigate the cosmic microwave background radiation (CMB) of the universe and provide measurements that would help shape our understanding of the cosmos. The Ulysses space probe was originally scheduled for launch in 1986. The Cassini-Huygens spacecraft was launched on October 15, 1997 from Cape Canaveral. Beagle 2 was conceived by a group of British academics headed by Professor Colin Pillinger. Galileo probe was launched on October 18, 1989 by the Shuttle Atlantis on STS-34. Genesis probe was a "sample return mission" to return from beyond the orbit of the Moon. Gravity Probe B experiment which differs from a perfect sphere by no more than 40 atoms. Mars Express consists of two parts, the Mars Express Orbiter and the Beagle 2. Mars Spirit rover has continued to function over ten times longer than NASA expected. Venus Express mission was proposed in 2001 to reuse the design of Mars Express. Latest article: NASA Launches Curiosity Rover. Nasa has launched the most capable machine ever built to land on Mars. The near one-tonne rover, tucked inside a capsule, left Florida on an Atlas 5 rocket at 10:02 local time (15:02 GMT). 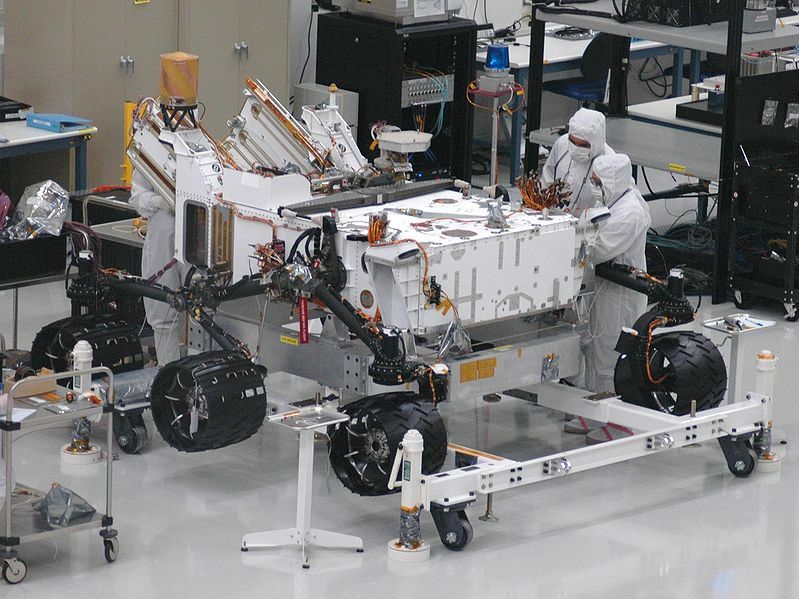 Nicknamed Curiosity, the rover will take eight and a half months to cross the vast distance to its destination. If it can land safely next August, the robot will then scour Martian soils and rocks for any signs that current or past environments on the planet could have supported microbial life. The Atlas flight lasted almost three-quarters of an hour. By the time the encapsulated rover was ejected on a path to the Red Planet, it was moving at 10km/s (6 miles per second). Spectacular video taken from the upper-stage of the rocket showed it drifting off into the distance. 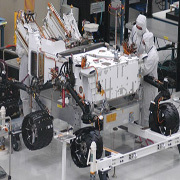 "Our spacecraft is in excellent health and it's on its way to Mars," said Curiosity project manager Peter Theisinger. Mars Curiosity Rover Launch. Age of the universe. The Accelerating universe has the greatest age while the Big Crunch universe has the smallest. Big Bang Universe. The universe has expanded from a state in which all the matter and energy in the universe was at an immense temperature. Comoving distance. A comoving observer is the only observer that will perceive the universe. The expanding Universe has an increasing scale factor. Cosmic microwave background. cosmologists consider this radiation to be the best evidence for the hot big bang model of the universe. Dark energy. Observations are consistent with a Universe made up of 74% dark energy, 22% dark matter, and 4% ordinary matter. Dark matter. The dark matter component has vastly more mass than the "visible" component of the universe. Dark galaxies should be very common in the universe. FLRW metric. that the big bang model cannot account for the observed lumpiness of the universe. Stars are objects much denser than a typical part of the universe. Friedmann equations. The Hubble parameter, H, is the rate of expansion of the universe. The universe as a function of the fluid density. Galaxy formation. One consequence of this model is that the location of galaxies indicates areas of higher density of the early universe. Hubble's law. The universe yielded a dynamic solution that conflicted with the then prevailing notion of a static Universe. Universe Inflation. In an expanding universe, densities are falling because the volume of the universe is increasing. The universe passed through a phase of expansion. Large-scale structure. In more recent studies the universe appears as a collection of giant bubble-like Voids separated by sheets and Filaments of galaxies. Lambda-CDM model. allows for the current accelerating expansion of the universe. The fraction of the energy density of a flat Universe in the form of the cosmological constant. Metric expansion of space. Is part of our understanding of the universe. Spacetime changes over time as the universe gets older. It shows how the universe expands. Big Bang Nucleosynthesis. As the universe expands it cools. The universe becomes too cool for any nuclear fusion. It was widespread, encompassing the entire universe. Observable universe. States the universe is at least 78 billion light years in radius. Components of the universe cause the expansion of the universe to accelerate. Redshift. It shows the state of the Universe about 13.7 billion years ago. 379,000 years after the initial moments of the Big Bang. Shape of the universe is determined by whether Omega is less than, equal to or greater than 1. From top to bottom: A spherical Universe. A hyperbolic Universe. A flat Universe. Structure formation. The very early universe is still a poorly-understood epoch. Since the universe is continually expanding, its energy density is continually decreasing. Timeline of the Big Bang. Evolution of the universe has passed through three phases. Grand unification is a feature of our universe. The future of the universe is not yet firmly known. Timeline of cosmology. Sir Isaac Newton's laws describe large-scale motion throughout the universe. Erasmus Darwin descriped an expanding and contracting universe. Ultimate fate of the universe. Rival scientific theories predict the universe will be of finite or infinite. The ultimate fate of the universe allows for a nonzero cosmological constant. Einstein was born on March 14, 1879. Albert Einstein. Stephen Hawking was born on January 8, 1942. Stephen Hawking. Sir Isaac Newton was born 4 January 1643. Sir Isaac Newton. 1st Baron Kelvin was born on the 26 June 1824. Baron Kelvin. Edwin Hubble was born on November 29, 1889. Edwin Hubble.